Pilates abdominal exercises. Here are 3 of the very best...... You can do sit-ups forever, but the only muscle you’re working on is the rectus (the six-pack). In fact, if you go too hard, you may damage some core muscles. If a nice six-pack is what you want, that's perfectly okay. However if you want to involve the rectus muscle and all of your core abdominal muscles as well, you need to do are these 3 following. After your exercises, you need to stretch and you'll find them all in our here on this website. Go to our extensive range of Illustrated Stretching Exercises - you'll find the stretch you're looking for there. This exercise works with your core muscles that wrap around your torso similar to a corset. Firstlly, on the floor, with head and shoulders up off the mat(although you may like to begin with head down on the floor). Also, to begin, you may prefer to place your lower legs (bent at the knee) on an exercise ball. Pump you arms up (roughly to height indicated)and down to the floor. Inhale for 2 pumps, and exhale for 2. Do 10 or 20 at first, and work up to 100. (So, the name of the exercise). 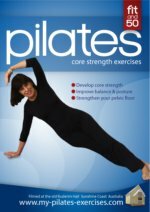 # 2: Pilates abdominal exercises: Single Leg Stretch. Firstlly, on the floor, with head and shoulders up off the mat(although you may like to begin with head down on the floor. Place both hands on left knee, with right leg extended out, knee straight and stretching out of the hip. Change to opposite, with hands on right knee and left leg extended. Inhale one the first set, and exhale on the next - that is inhale for 2 movements, and exhale for 2. This exercise will strengthen you oblique muscles which also wrap around your torso like a corset would. Firstlly, on the floor, with head and shoulders up off the mat(although you may like to begin with head down on the floor. Also, you could place your lower legs on to an exercise ball, as in exercise #1. Lift left elbow and arm pit to right knee. Lift right elbow and armpit to left knee. Interested to know more about your body fat ? 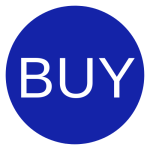 CLICK HERE for excellent info and tips.